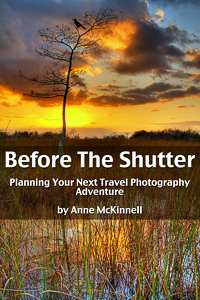 Enter your email address below to receive my free photography eBooks. You’ll also receive my newsletter which contains photo tips and tutorials, free wallpapers, stories from my travels, special announcements, and of course, lots of photos! Find out more about the eBooks. I will not share your information with anyone and promise not to spam you! You can unsubscribe anytime (no hard feelings). Carol Cohen just sent me an email about your site and I signed up immediately. I have been interested in photography since I was 13 and I am now 82 and still in the snapshot stage. I just bought a Sony RX10 II and hope to be able to get some spectacular photos with your advice! Thank you so much.. I live in Placitas, NM at 6,000 ft between Albuquerque and Santa Fe so I am in a place of magnificent scenery and I do like to travel in North America and Europe . Hi Jo, thanks for signing up and leaving a comment. I always like to chat with my readers 🙂 And thanks to Carol for connecting us. You do live in a beautiful part of the world! I have been to Albuquerque and Sante Fe, both just once, and really enjoyed them. I also loved White Sands and Bisti in New Mexico. I would love to go up to the Taos area (I heard about how gorgeous it is from Carol!). 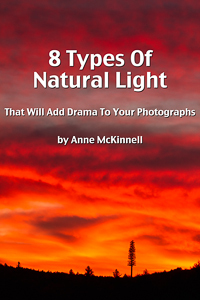 I hope you enjoy your new camera and that you find my tutorials and eBooks helpful. I am a new fan and find your web site and tutorials very helpful. I read your review of the Sony Nex 6 from a couple of years back. I now have my eye on the Sony a6000. I would love to hear how you think they compare. I consider the a6000 a “budget” mirrorless camera and like what I have read about it so far. I am in the market for a new camera and lens kit. Suggestions? I do mostly landscape photography and need something that is good in low light situations. Hello Phyllis. I have read your comment to Anne McKinnell re the Sony a600. I bought mine in 2015 and have very high praise for it. My wife bought an Olympus OMD EM10 but found my Sony much easier to use so when I had the opportunity to buy a friend.s a6000 I snapped it up. He graduated to a Fuji XT2. I am completely wrapt in the a6000 and it does all I ask of it. Hi Anne I’m an avid landscape and wildlife photographer and teach beginner and advanced photography at a local community college in Southern Illinois. I just put together a class lesson plan on landscape photography and then started my wildlife lesson plan when I came across your great article on DPS. So yea, sign me up! After seeing your work I’m feeling another case of wanderlust coming on….. Doctor I”m feeling faint but I already know the remedy! A full tank, fresh formatted cards and another wildlife Refuge yet unexplored logged into Google Maps…..What’s gonna cost me to hear about the ones even Google doesn’t know about? I really enjoy your E-books and the beautiful photography. I just signed on and am looking forward to future learning from you. Keep up the good work and thanks again. Thanks a ton for your free e-books, Anne. I am sure they will inspire me to learn photography seriously! Hola me gusta mucho la fotgrafia , soy artista plastica y esos hermosos paisajes me imspiran . Many thanks for your work and devotion to it! 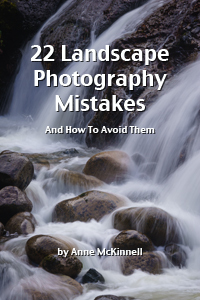 The download for Landscape Photography that I just read (while here on a Hilton Head trip) had my undivided attention! It is so complete and easy to absorb! Thank you so much David, I’m glad you enjoyed it! Your bio was of special interest to my wife as well as to me . . . She is an ordained Episcopal Priest, and upon hearing your “story” she perked right up, waved a book she’s reading over her head and said, ” . . . exactly what I’m reading now!” (“Gifts of the Dark Wood – seven blessings for soulful skeptics and other wanderers) by Eric Elnes. He says — in part — many of our revelations or “sweet spot” moments, many of our life-changing moments come out of our darkest times. We both heard this as we read your brief bio this morning! I smiled as I saw the word “wanderer” in the title and tied it to you word “nomad. Anne thank you so much for the free e books so love following you. My dream is to do the same …get an RV and travel across our great country. One day I hope. You are my mentor.. So sorry to hear of the loss of your mother. It is a tough time. I lost my mother eight years ago and I miss her each day….it never seems to go away. Guess it is a mothers love that stays with you. I have lots of wonderful memories but one thing that makes it easier for me to cope with her loss is getting out and taking beautiful photographs. I feel her near me when I am caputuring sunrises and sunset and know she is looking down and smiling as she shines her love on me. Hi Judy, You are most welcome for the eBooks and I’m glad you are enjoying the blog. I agree with you, getting out in nature is what keeps me focussed on the good and beautiful things in the world, and I know that’s what Mom wanted for me. Thanks for your visit and comments. I’m new to becoming a bit more serious about my photography. Instead of just aiming and shooting a photo I plan on taking more time and thought in the photos that I take. I received, as a gift, a Canon Tsi5, and have had pretty good results with the AF. However, now that I’ve retired I have more time to spend on this hobby. I want to begin using my tri-pod and auto flash buttons, amongst other niceties that I am still familiarizing myself with. Notwithstanding is my love for the outdoors. I fall into a trance when I’m hiking, camping, and doing anything outdoors. Besides, your previous article was quite intriguing, and just think, I only stumbled upon it and loved it! I’m persuaded to follow my dreams in photography. That’s awesome Bob! Photography is an excellent way to enjoy and appreciate the outdoors, and find all the beautiful things in the world. Slowing down and spending time with a subject and thinking of creative ways to photograph it makes a big difference compared to just pointing and shooting. You’ll come to appreciate things like shape, light and colour even more. Thanks for your visit and comments. I Love your Website, in where you inserted your own Images of the Pictures you have just took from your own Photography Equipment. I Love the Flamingos in that you have took! WOW! Keep up the Good Work on your Success because you will continue to make it through time. James, thank you very much, I really appreciate your comments! I do have a soft spot for Flamingos, for sure! Hi Larry, I’m glad to hear you have visited the place I call home and like it as much as I do! Thanks for your visit and comments. I was sent a link to your site by a friend. I am an amateur in photography and love learning about composition, color, processing, etc. I mostly enjoy making photos of landscapes, sunsets, sunrise, and cityscapes. I’m starting to venture into astrophotography a little. It’s all very exciting. Thanks for posting your photo tips and free guides. I’ve signed up to download the guides and to follow your newsletter. I appreciate all the information. Keep making those beautiful photos. Hi Anne, I just wanted to say that I purchased your Launch Into Lightroom course recently and it changed my world. I love processing my photos but found myself stuck and unable to figure out Lightroom. Your course made it so easy! Thank you so much! Your photos are so amazing, so inspiring.